The BBC kicks off its coverage of this year’s Festival today on bbc.co.uk/glastonbury with live streams of the Pyramid, Other, West Holts, John Peel, Park and BBC Introducing stages. You can follow their live blog and @bbcglasto accounts to keep up to date with the latest news, photos, and videos across the weekend. If you’re in the UK, you can also catch up on all up on over 150 performances on bbc.co.uk/glastonbury and BBC iPlayer. 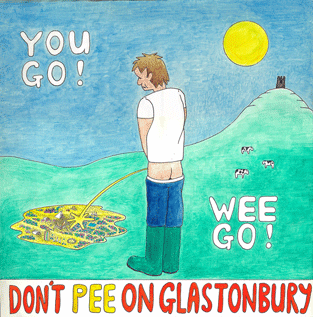 Those of you outside the UK can listen to / catch up on all of radio coverage (see below) via bbc.co.uk/glastonbury. On BBC One, The One Show will kick-off the BBC’s TV coverage of the Festival on Friday 27 June (7pm-8pm) with further coverage on BBC Two (10pm-10.30pm and 11pm-2am), BBC Three (7pm-10pm and 11pm-12midnight) and BBC Four (8pm-10pm). 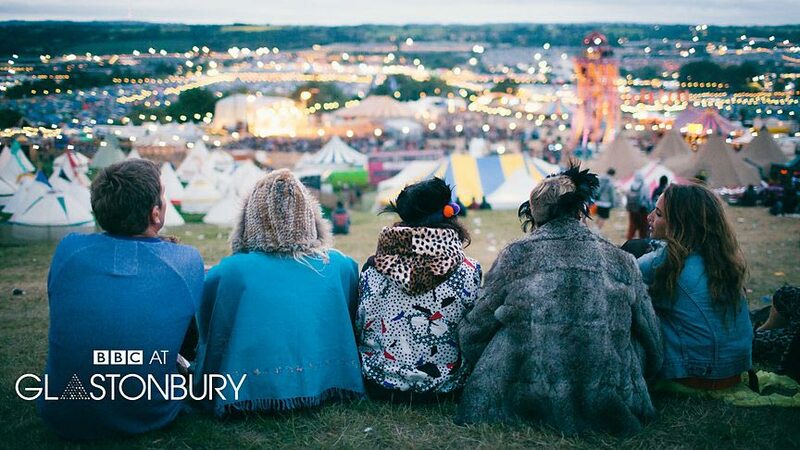 BBC Two will be the home of the big headliners from Glastonbury, broadcasting some of the biggest acts and moments from across the weekend, with programmes presented by Mark Radcliffe, Lauren Laverne and Jo Whiley. On BBC Three, presenters Greg James, Gemma Cairney and Jen Long will be on hand to bring from acts including Rudimental, Ed Sheeran, Lily Allen, HAIM and Sam Smith. This year, the BBC will be broadcasting over 50 hours of coverage across BBC Radio 1, BBC Radio 1Xtra, BBC Radio 2 and BBC 6 Music. Radio 1 and 1Xtra’s coverage will be fronted by Fearne Cotton, Huw Stephens, Pete Tong, Annie Mac, MistaJam, Charlie Sloth, ToddlaT, DJ Target, Robbo Ranx and Seani B. Over on Radio 2, Chris Evans, Jo Whiley and Dermot O’Leary will be bringing the best of the Festival to its audience. On Friday 27 June, The Chris Evans Breakfast Show (7am–10am) will broadcast from different locations of the site including Worthy Farmhouse and the Pyramid Stage. Lauren Laverne, Cerys Matthews, Steve Lamacq, and Stuart Maconie presents 6 Music’s alternative side to Glastonbury as well as Pyramid Stage headline sets from Arcade Fire, Metallica and Kasabian.